A lot has changed along the stretch of West Vernor where Jorge De Luna’s father opened his family’s bakery almost 40 years ago. His pumpkin empanadas have not. The smell of cinnamon filled Luna’s Bakery II near Junction Street as De Luna, 54, emerged from the kitchen, carrying a tray filled with the pastries that have always been a best seller at the Mexicantown panaderia. But these days, business is slow, the street outside empty. Few people have reason to come down this way anymore, De Luna said. 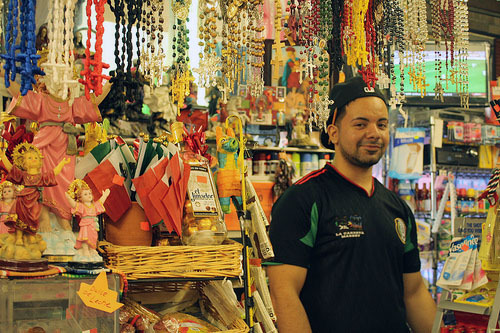 For some living in Detroit, Mexicantown has been seen as a glimmer of hope for a declining city. 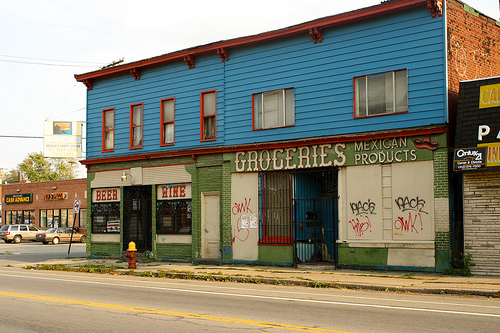 In the southwest corner of the city, the largely Hispanic neighborhood has grown at the same time Detroit’s population has plummeted—down nearly 200,000 in the last 10 years. Today, Hispanics make up nearly 7% of the city’s population, up from 5% in 2000. And yet, the increase in people hasn’t translated into more business for mom and pop stores. Small business owners say they are fighting a crippling economy while competing against larger chain stores that have moved into the area to capitalize on the population boom. 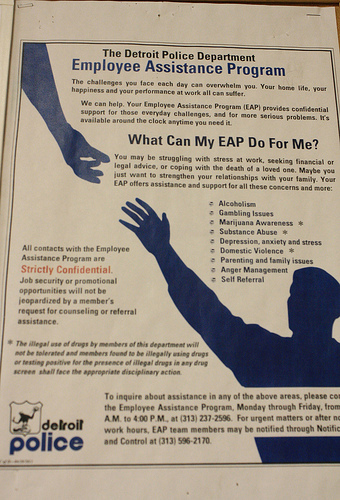 It’s a reality that seems to go against everything some economists have predicted. Lyke Thompson, director of the Center for Urban Studies at Wayne State University, said that more people should mean more spending. 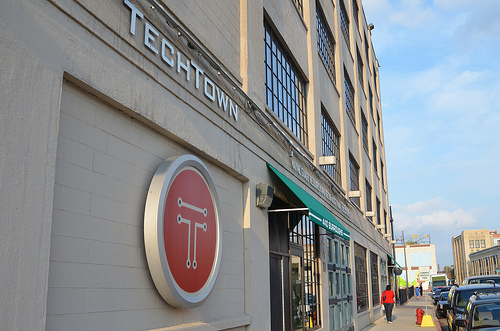 With its growing population, Mexicantown should have an advantage, Thompson said. But the mom and pop businesses that call Mexicantown home tell a different story. The Southwest Detroit Business Association estimates that there are more than 170 small businesses operating along the 2.5 mile strip of West Vernon stretching through Mexicantown. Ten have opened in the past year. Five have closed. Walking down West Vernor, it’s easy to see how the community might have once been a vibrant area. Painted store windows still advertise businesses that have since moved out, boarded up liquor stores and food markets wedged between quiet bakeries and discount shops. Bigger retail stores and restaurants like CVS, Payless and McDonald’s are common. Other stores, like Sam’s Supermercado on West Vernor near Lansing Street, come from outside Detroit, pushing out local markets, small business owners say. Some small business owners point fingers at larger stores coming into Southwest Detroit to capitalize on a growing population. 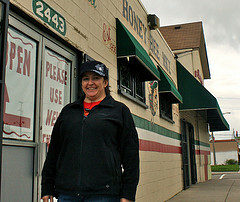 Tammy Alfonso-Koehler, owner of Honey Bee Market Colmena on Bagley and 23rd Street, said a loyal customer base has helped her keep her business running, but it’s been difficult. One of the first Hispanic markets to pop up in Detroit, the Honey Bee Market has been in Alfonso-Koehler’s family since 1956. Alfonso-Koehler, 43, said her family has had to deal with an influx of new grocery stores. Alfonso-Koehler said she has had to pay closer attention to the kinds of products she buys for the store, straying away from more traditional products like dried chilies and tortillas to include more recognized food items. In one aisle, packages of Chips Ahoy are stacked next to Roscas, cinnamon flavored cookies. Other local businesses say they have had to find more creative ways to fight back. 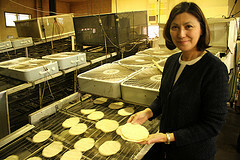 At La Jalisciense Tortilla Factory, a neighborhood staple that has churned out traditional corn tortillas on Bagley Street since 1946, owner Myrna Abundis said customers used to flock to the family-owned factory to take home freshly made tortillas. Today, she said they’ve had to look for customers elsewhere. The majority of La Jalisciense’s business comes from area restaurants and local food markets, Abundis said. But the factory has also started selling its products in bulk to larger stores, like Ryan’s Foods and Whole Foods in Ann Arbor. They’ve also been hurt by increased competition. She said outside businesses, like the Chicago-based manufacturing company El Milagro Tortillas, have become increasingly prominent in the area, catering to a growing demand for traditional products. “There’s an opportunity here and they just grabbed it,” she said. Alfonso-Koehler said the biggest challenge facing Mexicantown is holding on to a slipping identity outside businesses are trying to take advantage of. Still, she said she remains optimistic. I love your narrative, great article, Kathryn! Hmm… bringing back some very tasty memories just reading the beginning of your article… I moved from Detroit to Greenvile, SC, about 13 years ago, and the biggest thing I miss is Luna’s pumpkin empanadas. I’ve not managed to find a single bakery here in the south that can make the pumpkin empanadas. Any time I get a chance to visit Detroit, I stop in and get some, and have even managed to get some driven down to me once in a very long while. It would be wonderful to learn to make them and be able to have them down here all the time since it’s kind of hard to make the 12 hour drive to Detroit as often as I want to eat pumpkin empanadas.